I’m trying to remove the sump from the petrol tank and, after removing the plug, I’m really struggling to get the sump out without damaging the tank. I’ve noticed some pictures where the sump protrudes from the underside by an inch or two. The one on my car doesn’t (see pic). I’m finding a few bodges by the PO(s) and wondered if this was normal or not. From the photo its hard to be sure but it looks as though there may be some damage to the tank already. The sump should be vertical rather than at an angle. Perhaps jacking damage sometime in the past? 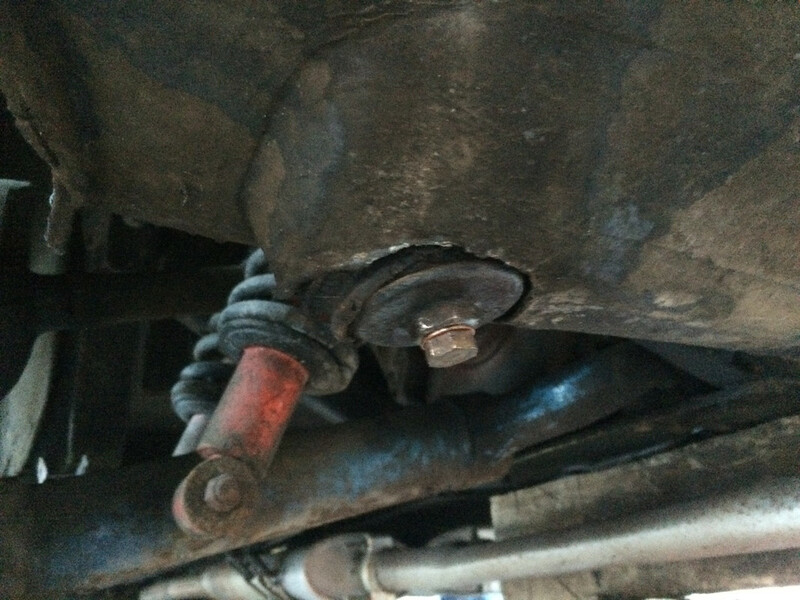 When I removed mine I found it took a surprising amount of force on a breaker bar to get the thing to start to move but it did no harm to the tank. The other option is to take the tank out and have a proper look. I found it relatively straightforward to do so. Easier on the S3 than the earlier models perhaps. Thanks for replying, that’s really helpful. 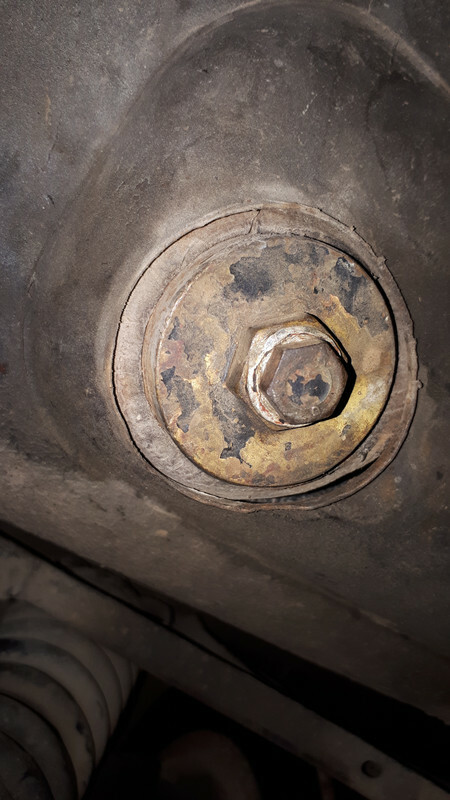 Looking at the original jacking points, and other points under the car, it is apparent that there has been some really indiscriminate jacking. I think that I’ll probably leave the sump as it is for now as I’ve found something that I think is the reason for the engine being starved of fuel - only one side of the pump was working! There was also an inline filter in the boot but the bore was reduced from 3/8s to about 1/4 or less so I’ve replaced it with a bigger bore version and put a temporary one by the first carb so I’ve got a great view of what’s coming out of the tank. The way your sump peeks out of the boot floor, could indicate some damage which could make it impossible or very difficult to get the sump back on the tank without taking the tank out of the car. Thanks, Ole, I think I’ll need it! If you (or previous poster, Adrian) have a picture showing what “normal” is like, I would be very grateful. I’ve had a result on the fuel pump and have picked up a second hand Aston Martin fuel pump (AZX 1404) for a fraction of the cost of an E Type version (AZX 1405) with the differences just being the supplied fittings. I’ll either use it as a donor or save the working bits off my old one. I’m beginning to notice that simply being badged as E Type-compatible ups the price!! To repair my carbs, I used a Triumph site, again, much cheaper. Thanks, Colin - it looks tidier than mine!